At the craft fair we had a restaurant where we sold food, cakes and drinks. That morning we prepared the menus, the table numbers and the notepads to take the orders. Breagha and Catriona were away so there was only five of us: Dylan, Logan and Clyde were taking orders and Maggie and Maisie were serving people. 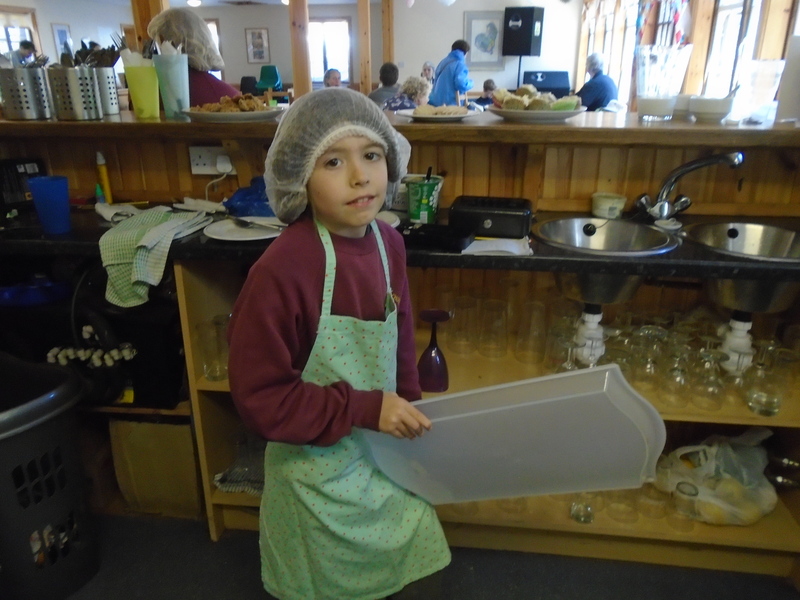 We all had to wear hats and aprons, as you can see in the pictures. Clyde was the first person to take an order then Dylan then Logan, at first we were quite nervous but by the end we really wanted people to come and sit down so we could take their orders. One family sat on a really big table and Dylan had to take a the biggest order that we had all day. At the end of the day there was still plenty of cakes so we got to choose one thing to have. The next day Logan, Maggie and Maisie counted the money and found out that we had raised £268.35 for our school..